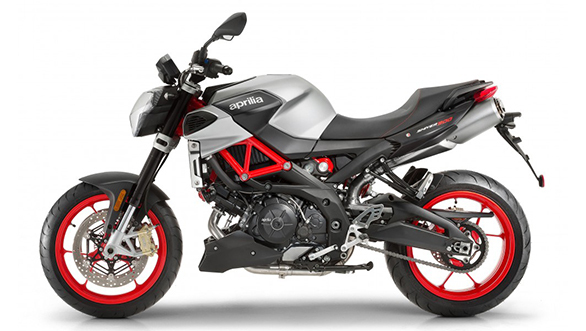 Aprilia has brought in a sharper-looking and more powerful Shiver along with the new Dorsoduro at the 2016 EICMA. Both the motorcycles retain most of their styling bits but gets a major upgrade in terms of the performance. The 750cc motor that was doing duties on both the machines have been replaced by a 900cc motor which is also Euro-IV compliant. The chassis of the Aprilia Shiver has not gone through any update, and the new motor makes use of the same geometry. The 2017 Shiver comes equipped with a new Kayaba 41mm fork with rebound damping and preload settings and 120mm of travel while the rear too gets a rebound and preload adjustment with 130mm of travel. Bolted onto the trellis frame with aluminium plates is the 900cc V-twin motor that now makes around 90PS of power at 8,759rpm and generates a higher torque of 90Nm at 6,500rpm. The 2017 Aprilia Shiver also benefits from the electronic control systems and riding tech support derived from its larger sibling, the RSV4 superbike. The Shiver also gets an updated traction-control system. In terms of styling, the 2017 Aprilia Shiver 900 gets a new fuel tank cover, updated design of the fairing, side panels and also the front fender. The engine head, trellis frame as well as the wheels are offered in bright red colour. The exhaust pipes have been shortened and now face upwards. This naked offering rides on 120/70 R17 front and 180/55 R17 rear tyres and comes with two-channel ABS. The Shiver 900 gets a new 4.3-inch TFT instrument cluster seen on the RSV4 and the Tuono 1100 V4. Using the Aprilia Multimedia Platform kit, riders will have an option of connecting their smartphone to the screen. Currently, Aprila India's only naked offering is the Tuono V4 1100 which is priced above Rs 20 lakh. 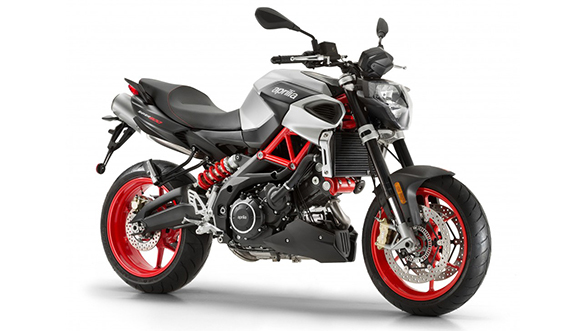 We believe with the Shiver 900, Aprilia can offer a more accessible sport naked bike. For more stories on EICMA 2016, click here.